Fans of gURL.com love reminiscing about how much they loved gURL.com, which means they'll especially love a new profile about the site that breaks down what made it so successful. The Cut took a trip down memory lane, writing about Rebecca Odes, Esther Drill and Heather McDonald, the women responsible for both gURL.com and the book Deal with It!, which I most certainly did not try to buy surreptitiously without my mom realizing what was in it even though she would totally have been cool with it. Anyway, there were a few reasons gURL was such a hit. "Part of the directive was to not use photographs, because we wanted girls to be able to insert themselves and not compare themselves," Odes explains; in place of photos, gURL tended toward zine-inspired illustration. "By having it be very cartoon-y, and by not giving them anything real to position themselves against, we were trying to take a lot of the primary relationship that they have to mainstream media away, and let girls imagine themselves in it." One woman who spoke to The Cut said she didn't realize at the time how meaningful that was, and I definitely second that feeling. The girls featured could have been anyone and everyone, any body shape, any skin color – and they were, which gave the content a universal yet personal feel. Although gURL.com featured famous people sometimes, like Patti Smith and Judy Blume, Odes says they were wary about celebrity content. "We felt like that's this whole kind of aspirational fantasy, and we were really trying to be a counterpoint to that," she explains. If I had a big issue with celebrity content I wouldn't be able to write for the site you're currently reading, but I'd guess a big reason a site like Rookie is so successful is the way they talk about famous men and women. Rookie features talented, smart individuals giving advice and talking about their careers and loves in honest, open ways – people who happen to be famous and successful but actually have something worthwhile to say. When you're young, that's probably the best way to grow and understand yourself; by the time you're older, hopefully a profile on Jennifer Garner's "blessed" life won't make you feel totally crap about your own. And lastly, their book Deal with It! A Whole New Approach to Your Body, Brain, and Life as a gURL was, on its own, a big big part of the brand's legacy. 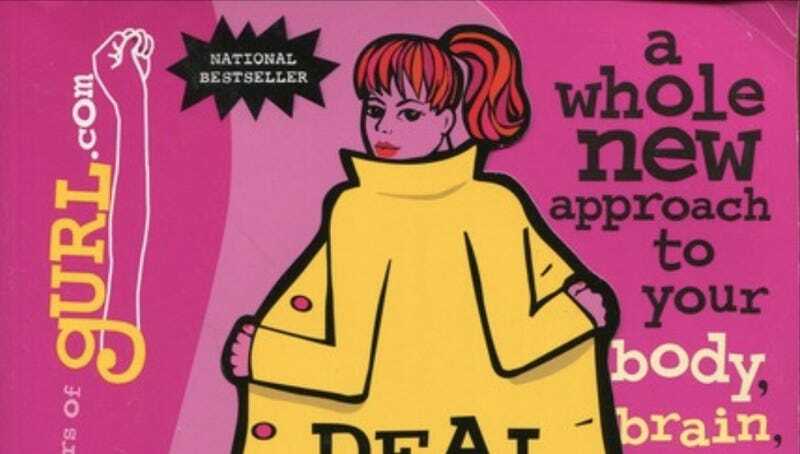 I can't say I honestly read gURL.com that often, but this book was and is really really good. I whispered about it with my girlfriends and it appears I wasn't the only one; as The Cut author Alexandria Symonds writes, upon meeting Odes, she got nervous getting ready to tell her "that she is responsible for my coming to understand that other girls masturbated, too." She shouldn't have worried; Odes took it in stride. "Honestly, I recognize that as my greatest professional accomplishment, on some level." As she should!